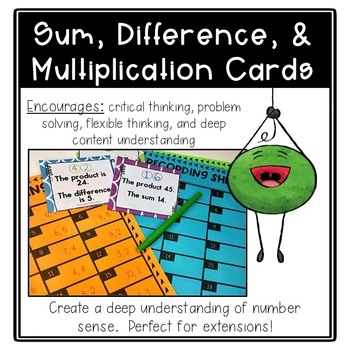 Looking for a way to encourage a deep understanding of number sense? 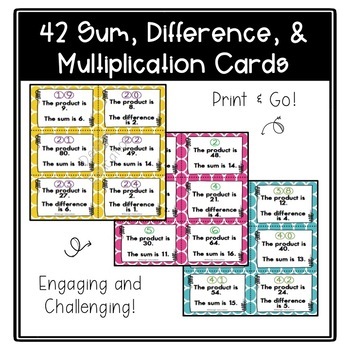 This Sum, Difference, and Product task card set promotes critical thinking and understanding of how numbers work together. 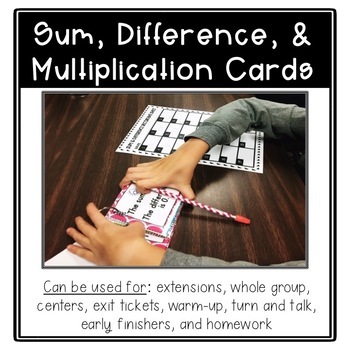 Each card requires the student to determine what 2 numbers the statements on the card. 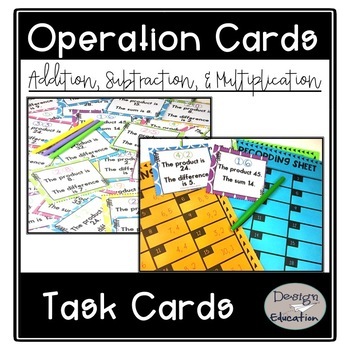 Students will master mental addition, subtraction, and multiplication in no time using these problem solving cards!